We are building a Blockchain solution that utilizes the Hyperledger and is powered by THINaër, a platform for the Internet of people, places and things ( IoE ), adding the ability to collect any type of sensor data related to a product during its life cycle. This enables a full provenance that is available at your fingertips as shown in the following video. Scioebc™, Group50’s plug and play permission based Blockchain gives you the ability to control who has access to critical data through smart contracts. 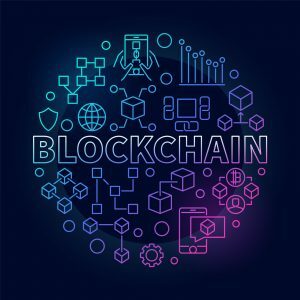 Blockchain technology is changing and evolving at a frenetic pace. It will be impossible for people in your organization to stay abreast of those changes. As a result, it is important that companies follow a specific methodology for education, planning the use case(s), creating a technology roadmap and implementation. Companies interested in taking that journey can take advantage of Group50’s workshops which can be found on our Blockchain and IoT implementation page. We recommend that the very first step is a customized Blockchain Immersion Workshop where the entire leadership team can get on the page with understanding Blockchain and IoT business applications. Group50’s expertise in business process design, organizational design and digital technology, coupled with our unique plug and play technology, positions us to be your partner in adopting and managing this transformative technology in a way that is both scalable and sustainable. 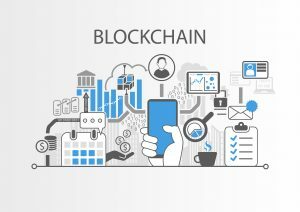 Requesting your help: As part of our education efforts, we are doing a Blockchain research project that will provide detailed insight regarding the current state of Blockchain adoption across various industries and companies of all sizes. People who participate in this research can get a free overview of the results. You can take the survey here. You can speak to a Group50 Blockchain adviser by calling (909) 949-9083, send us a note to Blockchain@group50.com or by requesting more information here.